First minutes of the pilot, “Confluence,” will be shown. 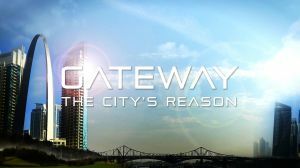 ST. LOUIS — Producers from Gateway: the City’s Reason will give a presentation about the independent television series at the 2014 Webster University Sustainability Conference on April 11, 2014. Writer/Producer Gene Pfeiffer and Director/Producer Mike Sneden will show the first 13 minutes of the pilot and sit in on a panel discussion about sustainable stories and the future.